Temporarily relieves minor pain associated with: muscle sprains, muscle strains, neck/back aches/pains, sore joints, arthritis, cramps and bruises. For external use only. Flammable. Keep away from open flame or extreme heat. When using this product: Use only as directed. Avoid contact with eyes and mucous membranes. Do not apply to open wounds or damaged skin. Do not bandage tightly. 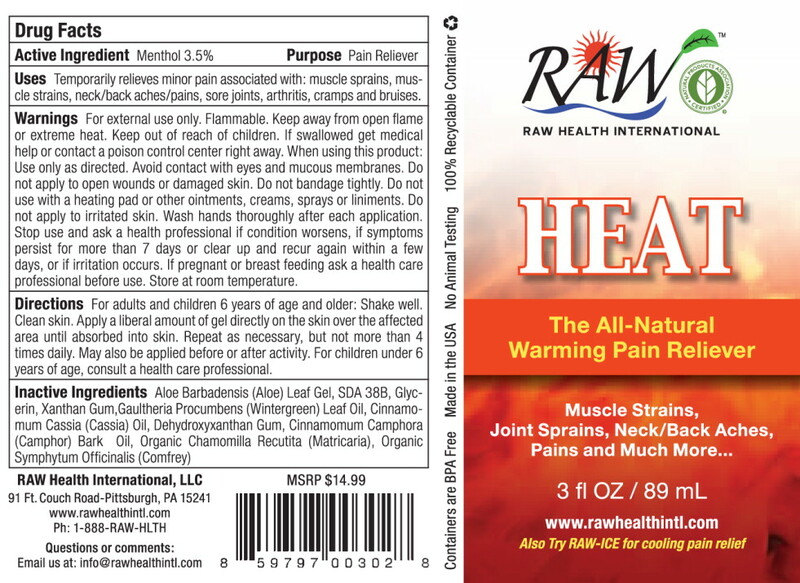 Do not use with a heating pad or other ointments, creams, sprays or liniments. Do not apply to irritated skin. Wash hands thoroughly after each application. Stop use and ask a health professional if condition worsens, if symptoms persist for more than 7 days or clear up and recur again within a few days, or if irritation occurs. If pregnant or breast feeding ask a health care professional before use. Store at room temperature. For adults and children 6 years of age and older: Shake well. Clean skin. Apply a liberal amount of gel directly on the skin over the affected area until absorbed into skin. Repeat as necessary, but not more than 4 times daily. May also be applied before or after activity. For children under 6 years of age, consult a health care professional.